Is your pregnant back aching? What about your ankles….do you feel like an amazing foot massage? What about your neck? is it feeling tight and achey? Our pregnancy massages (Tanya Galvin) are highly regarded in Cairns. This is a treat for you before you welcome your bundle of joy…. 1 x Pregnancy Massage (60 minutes). I have been working in Cairns for 5 Years now and have a great reputation on the buy swap sell sites along with other pregnancy related facebook sites. So you could say I am well known here now for my pregnancy massage! Please call Tanya on 0408 054 538 today. 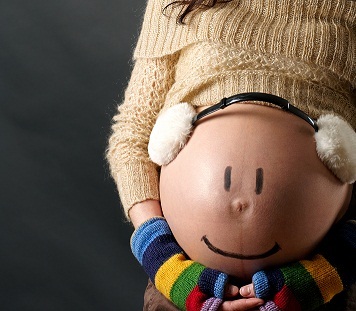 What Contributes to confidence in birthing women? that she perceives her feelings throughout the process are acceptable and that her caregivers support her free expression and release of these feelings before, during and after childbirth. 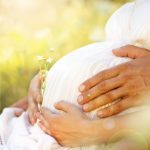 that she has been realistically prepared for coping with pain in labour, with active coping techniques, rather than mere relaxation. that she is not perceived by others or herself to be in control of the process, the baby or the outcome of labour, she is only responsible for doing her best to cope with the power of contractions in whatever form she is experiencing them. Category: Treatments. Tags: acupuncture induction cairns, breech baby turning cairns, gift certificates cairns, induction of labour massage cairns, pregnancy massage cairns, pregnancy massage gift cairns, prenatal massage cairns. The highest Quality Massage Experiences in Cairns……. Cairns Massage has a very broad range of treatments to meet your individual healing needs …….. Do you want to relax….or to relieve your muscle tension…..or would you like to stop that pain…..looking for a deep/firm massage….or what about a pampering session while pregnant ……….We also offer some very exclusive and different pampering sessions…….. there are helicopter & massage journeys involving flying to a small remote tropical island for a luxurious massage….or…..Can you imagine flying to the top of a remote waterfall…..and then having a blissful massage here…..on top of the world….in nature!…….. or what about trying our Day Packages that include – food and spa indulgences…………. Don’t forget our amazing massage in nature which involves massage on the beach or another secluded location……….Of course we can also bring our massage tables to your resort room….and in the comfort of your own space……while your partner cares for the kids…..we can come and pamper you…..or have a girls day in….while the boys are fishing/golfing….pamper yourselves…..or have a side by side couples massage with your significant other…… in your room…….romantic and relaxing……. right in the comfort of your own space……. The practitioners who will pamper you are highly experienced with at least 5-12 years experience in the profession………. Many of our therapists have received the highest accolades in their profession……………… Most are members of the Australian Traditional Medicine Society!…….I think you deserve the restoration and healing…….don’t you?